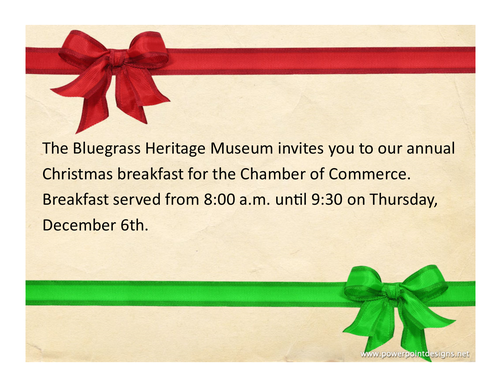 Join us for breakfast with the Winchester-Clark County Chamber of Commerce hosted by the Bluegrass Heritage Museum. Be sure to bring your business cards as this is a networking event! The Bluegrass Heritage Museum is located at 217 South Main Street, Winchester KY 40391. Free and open to all Winchester-Clark County Chamber of Commerce Members!